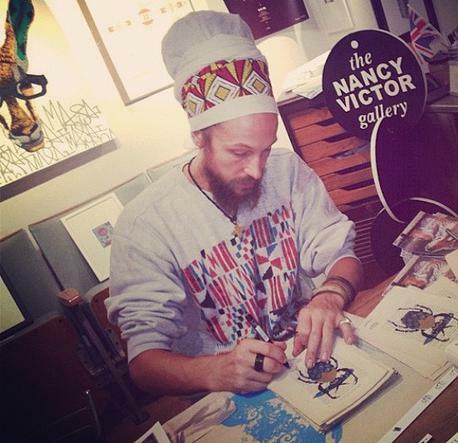 Charlotte Webster of Human Nature interviews the incomparable Louis Masai, project partner & curator of ENDANGERED 13. 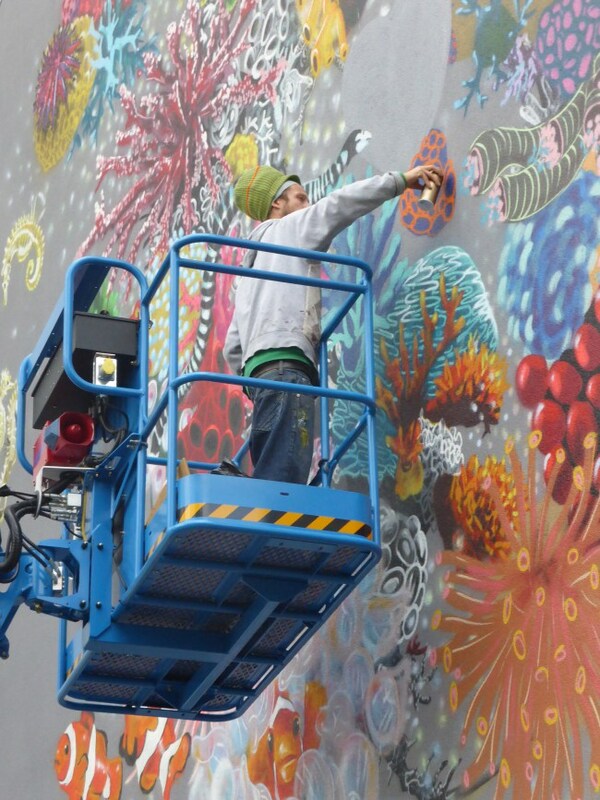 Best known for his murals of endangered species, Louis is also a sculptor and illustrator. His fast growing popularity goes hand in hand with vision, ambition, talent and a genuine determination to make a positive impact on the world. Not only project curator he will of course be painting at ENDANGERED13 too. He talks to Charlotte about the roots of his motivation to make a difference and why other artists are joining the environmental movement. This is Now from Synchronicity Earth on Vimeo. I have had an affinity with the animal kingdom since I can remember. When I was about ten years old, I did a WWF walk to raise money for tigers. Throughout my childhood I had posters of tigers and lions on my walls and I collected all the geeky animal science weekly zines. I look at animals and I feel a passion and love that I can’t really explain, I’d rather talk with my dog and cat than the neighbour. I do talk to the neighbour as well but animals have a sixth sense and I feel I understand that sense, I guess that sixth sense as we coin it makes me feel calm and collected. I don’t often find that energy is easy to experience with humans, when I do find people that have that energy its often that they feel similarly as I do about nature. Perhaps we are a different species of human, more nature than technology. Right now I am working on a lot of ocean species, coral is a massive concern, the main reason being that the corals support the biodiversity of nearly everything in the ocean, from sharks to shrimps. When the coral dies the rest of the ocean will follow in a fast downward spiral. Well, I think it’s usually the minorities that fight the hardest to be heard. In a way I’m glad I am the minority in this instance. Having said that I want to encourage more people to be aware of our impacts on our environment. I think that a lot of the general public are unaware of how many environmental issues are tackled with policies just scratching the surface. Ultimately there’s still too much of an emphasis on profit over planet. Recycling is a classic example of this. If governments really cared about recycling surely they would impose tax on unneeded packaging on our foods. Plastic is a man made disgrace that is destroying our planet and our health, but instead of capping consumer use of plastic our present government has imposed small charges on plastic shopping bags. Whilst it’s wonderful that something has been introduced, it’s such a ridiculously small change to a huge issue and one that barely addresses the concerns that should be acknowledged. If I shopped in Sainsbury’s I could fill a plastic bag full of plastic after I had unwrapped all my food. If I bought the same foods in a market there would be almost nothing in that plastic bag after I had unpacked everything. That highlights where the real problem is. I can at least reuse the plastic shopping bag a few times, the plastic wrapped around my food is useless. My art doesn’t directly attack these issues, but by painting creatures affected by the plastic, in this instance whales and other plankton eating creatures, it address that plastic that is killing aquatic life. In my opinion not enough people, including artists, are aware of the real situation, if more become aware then more will probably address the issues. 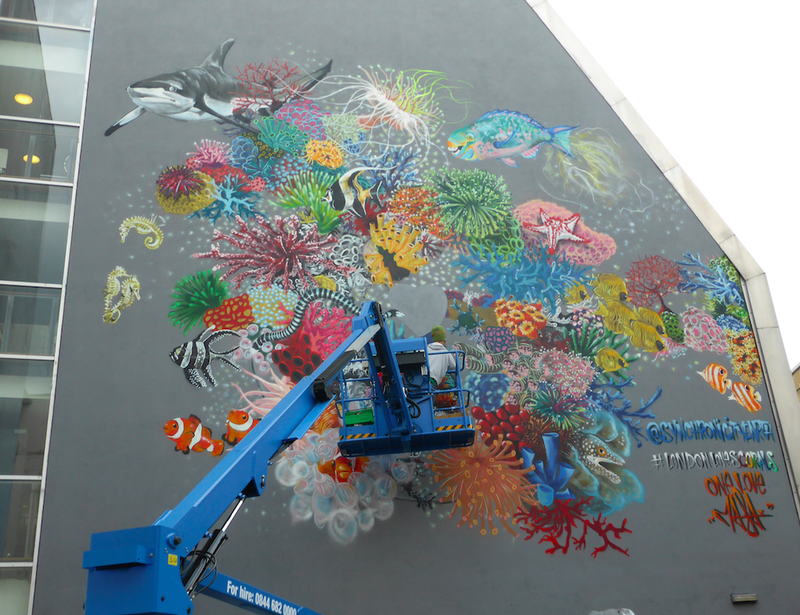 Louis Masai’s coral reef mural on Redchurch Street, East London. This project has come together to create a foundation to connect all the dots: the artists, the paintings, the facts about animals, the organisations working to protect these species and the public that do actually care. ENDANGERED 13, a mural project raising awareness of endangered species. Live painting: Sunday 10th April 2016, 12-7pm Ackroyd Drive, Mile End, London.